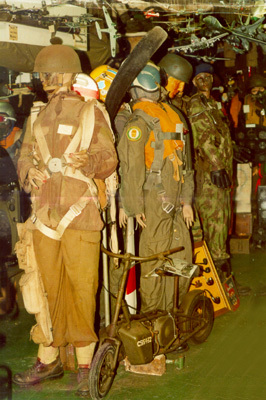 The museum contains an extensive collection of aeronautical items: aircraft engines, a paratroop scooter, Air Force flying and survival articles, badges, insignia and medals from all countries and time periods. 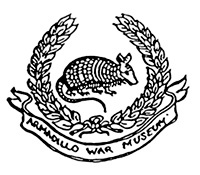 The museum also has many uniforms and items of equipment - cameras, compasses, aircraft instrument panels, models of aircraft, ships and tanks, and radio and photographic articles. Armstrong Siddley and cylinder radial aircraft engine, A/S Mamba jet Engine, 3 ejector seats, 2,000 world badges and insignia, medals. 200 plus uniforms, 200 plus helmets, hats and caps. Cameras, Compasses, dash boards, 300 plus model aircraft/ships, memorabilia, paratrooper scooter, corgie scooters. Clive 'Killer' Cladwell - Australian RAAF ACE, World War II. 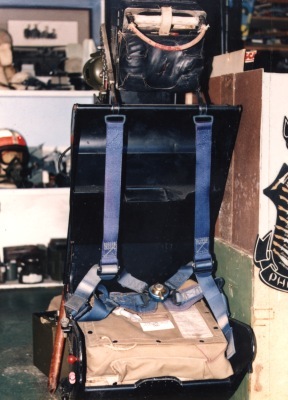 This ejector seat was used in the Gloster Meteor jet fighter of 1944 and the De Havilland Sea Venom Naval Fighter of the R.A.N. during the 1950s. 1944 paratroopers folding motor scooter, air dropped at Arnhem for Normandy invasion. 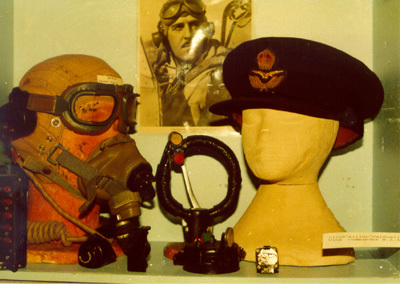 Also in image - British Paratroop figure, Australian Fighter Pilot 1960s, Portuguese Paratrooper 1990. 3,500 units made for the Normandy invasion, 35 known items remain today. 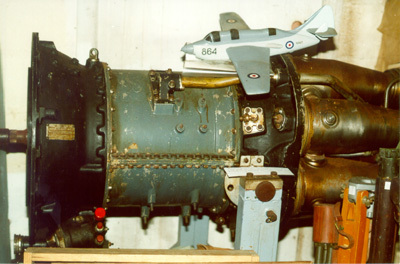 The Armstrong Siddely 'Mamba' Jet Engine was one of a pair known as 'Twin Mambas' used in the Royal Navy's 'Gannet' Anti-Submarine Petrol Aircraft from the 1950s period. 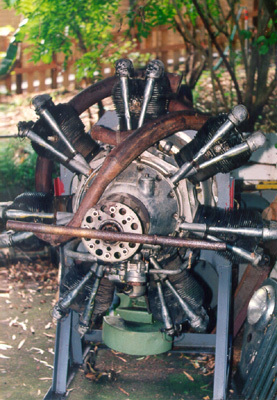 Seven cylinder radial aircraft engine, as used in the 'Avro Anson' Twin Engined Bomber Aircraft of the RAAF from 1937 to 1945 as a general purpose aircraft.